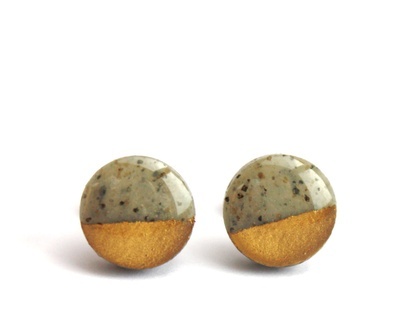 These striking circular gold dipped granite studs are handmade from polymer clay. The gold has been hand painted making each pair truly unique. They have then been coated with resin giving them a luxe finish. The studs measure approx 8mm in diameter and have hypoallergenic surgical steel ear posts. 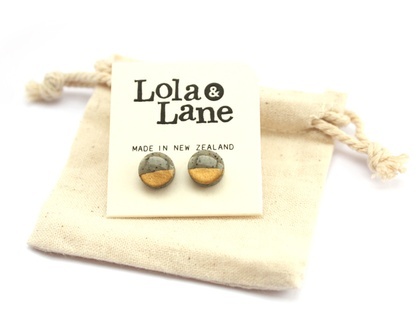 All Lola & Lane pieces come ready for gift giving in an eco cotton drawstring pouch and gift box.